The last night of our three-day trip to Puerto Rico, we ate at this lovely restaurant while visiting the San Juan Marriott Resort & Stellaris Casino. Yerba Buena on Cond Ashford Plz in Condado is within walking distance of many hotels in San Juan. My wife was doing her best to find us a place where she could safely eat while having traditional Puerto Rican food. While we found great places to eat so far on the trip, they weren't places that served the traditional Puerto Rican I craved. We almost walked right past it. Truth to tell we were getting frustrated with the lack of options for gluten-free safe places to eat for her. We walked by, and it had outdoor seating which my wife loves (even though we didn’t sit outside). So we stopped to read the menu posted outside. A waiter came right up to us and asked if he could help us. We expressed our concerns, and he readily said he was relatively confident they could accommodate us but if we could give him a moment he would check and be sure. Well, that alone convinced us to wait. The waiter went the extra mile to secure our business. Well, that got our vote! We stayed and tried it. The staff was extremely friendly. Although Yerba Buena does not have a gluten-free menu, the waiter listened attentively and knew what we were talking about. He insisted on double checking everything with the chef. That poor guy made more consecutive trips to the kitchen than any waiter I’ve seen before. But I appreciated that he didn’t act like he knew everything about Celiac disease. He admitted to having a passing familiarity with gluten allergies but didn’t say it will be all right, without being sure that it really would be. He even checked the drink mix labels used to make our drinks. It was so good to see someone take such a vested interest in my wife’s welfare. And I might add, he never made us feel like we were asking too much of him. Most of the time, he volunteered to run back to the chef to double check. When he discovered the drink mixes were not gluten-free, he suggested an option for us. An original style mojito without pre-made mixers and not made in a blender to prevent her from getting sick. Which for the record, were delicious. We placed our food orders and sat back to enjoy the live Latin Jazz band playing. The food arrived relatively quickly I thought, and it was delicious. The menu was a blend of Puerto Rican and Cuban food. They even brought my wife's food out separately (and first) to prevent cross-contamination. She had the pulled skirt steak with a side of rice and beans which were delicious. I went with the grilled outside skirt steak with mofongo de yuca. This was the food I was waiting for! Comfort food for me! They had live jazz music that night, and it was fantastic. We sat right in front of the stage, but the speakers were not at all overwhelming. The lights were low; the ambiance was perfect, the food was excellent, the jazz band was terrific. All the waiters were dressed the same in white pants and guayabera shirts with the same Cuban fedora hats on, it was a fantastic combination. 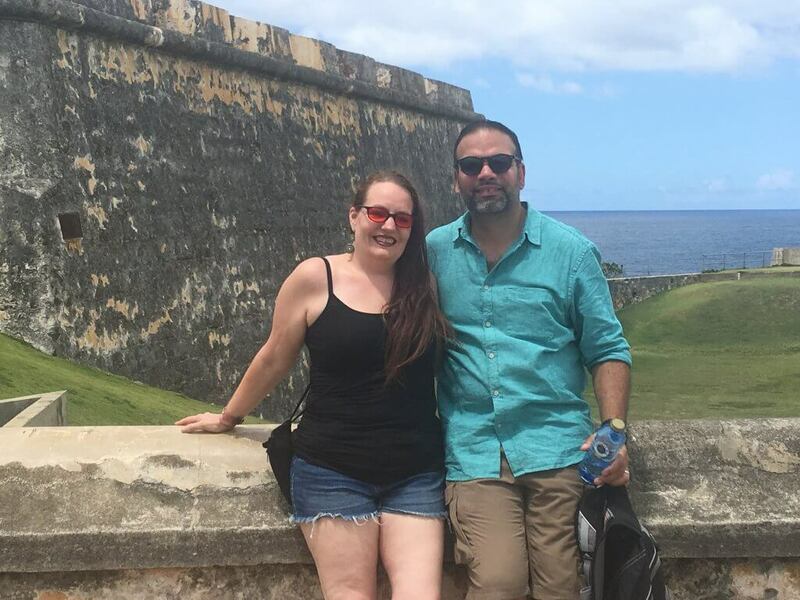 It was an experience that helped add to the wonder of my first trip there and the fact this trip was to celebrate our 21st anniversary together. It wasn’t too fancy, but it was perfect. The price range for this restaurant I would say is mid-level. It won’t break the bank to eat here. But don’t let that fool you. The food here is high quality, as was the service which really brought it home for us. This place is definitely on our return trip list. Yerba Buena is a great place to eat moderately-priced authentic food. Husband to Jeannie, father of four ASD kids and a permament house guest also diagnosed with ASD. Comic book geek who loves most things superhero related. Likes to read, write, and sing. Loves movies, and thinks the inventor of Netflix should get a Nobel Peace Prize. Likes fashion and shopping (yes I said it).